The new PM was warmly greeted by bankers at Wellington Commerce in the FSC. Robert Goldman chose the Financial Services Centre in Davidium to make his first public engagement since becoming Prime Minister on Tuesday in a decision that proved to be more than just optics. Although it remains largely a construction site, the new banking hub is expected to be complete by the Autumn and when fully occupied will house some of the world’s largest financial firms including the Bank of Legoland, the Mandalay Banking Group, Wellington Commerce and HBC. Surrounded by employees of Wellington, Goldman announced that the new Finance Minister Ken Bacon earlier signed off on legislation that will see the corporation tax rate reduced from 26% to 11.5% from October. The PM justified the move. “To compete on the ever more important global market our indigenous businesses need backing and high taxes aren’t this. We are steadfast in the belief that the path forward, the path to progressive development and prosperity is in the hands of private entrepreneurs and not the public sector. 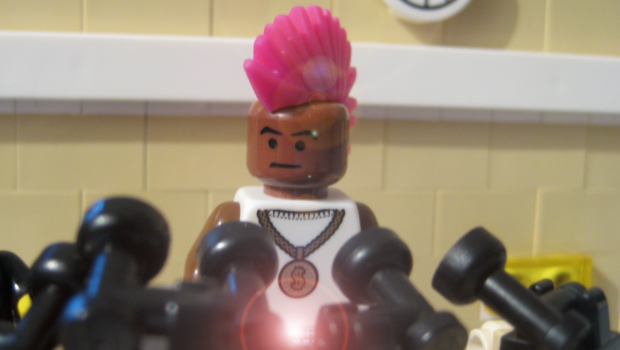 It’s time we reined in state expenditure and reward those minifigs who generate wealth”. When quizzed about the fate of those employed in the public sector, Goldman confirmed that changes for many would be on their way. Opposition parties reacted to the PM’s comments with the Everyone Deserves Bricks deputy leader Kevin Butler demanding Goldman confirm whether any employees of state bodies transferred to private ownership will see the pay and conditions remain unchanged. “Goldman should state on the record that all public sector employees shall see their pay and conditions protected during their term of office. 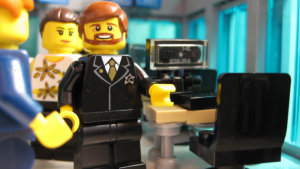 The NBO need to promise to protect the employment rights of minifigs,” Bulter told RTL.